I have bought my Tillandsias- what do I do with them? Tillandsias are brilliantly versatile but sometimes it can be daunting deciding what to do with your new plants. In nature many Tillandsias grow on trees or across rocks, they use their roots as anchors but don’t take in nutrients from them which means that they can be diaplayed and mounted in a variety of ways in your home and garden. This is a popular way to display airplants, you can use glue to attach the plant and tie it on with wire or cut up stockings until the roots anchor themselves to the wood. Small pieces of wood are perfectly fine which can then be hung on a tree or against a wall. 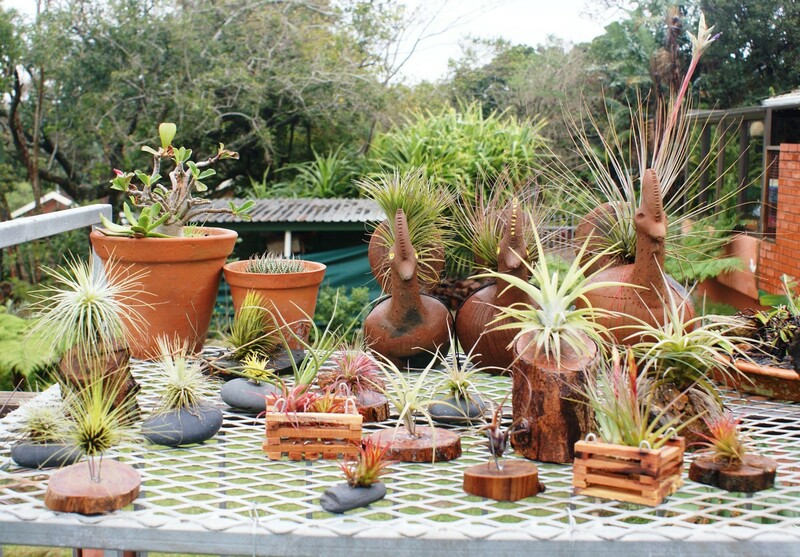 If you have a beautiful big piece of wood you can arrange several plants onto it to create a display. If you use driftwood make sure it has been left outside in the rain and elements for several months to leach out any salt. 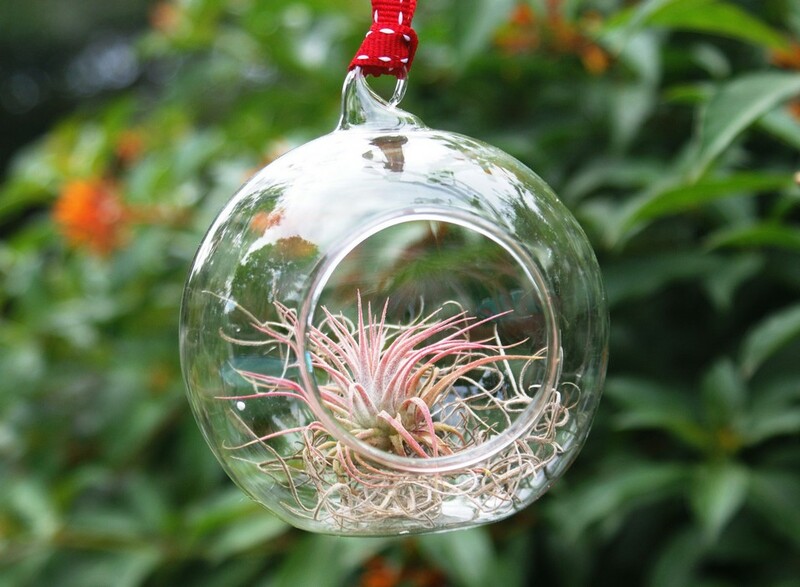 If you want your airplants to form a ball or clump this is a great way to do it and works well for many species and particularly bulbous ones. Use wire or strong string, we like to use waxed twine, and tie or bend round the base of the plant, not too tightly. A rope slung across a section of your garden can create a wonderful living ‘washing line’. Baskets are often used by orchid growers to display their plants but they work brilliantly for airplants too which send their roots out onto the wood. Some Tillandsias can also grow in substrate, T. tricolor and fasciculalta both thrive in wooden baskets with some bark chippings placed around the roots. In the accessories section of www.rareandair.co.za we supply hanging frames. These wooden frames have a criss cross of wires to gently push your plants into. These can be suspended or hung on a wall and allow you to create a living picture. We also have smaller wooden frames which we use to fix smaller plants, such as ionantha and retorta to. They look great hung in a group on a patio wall. 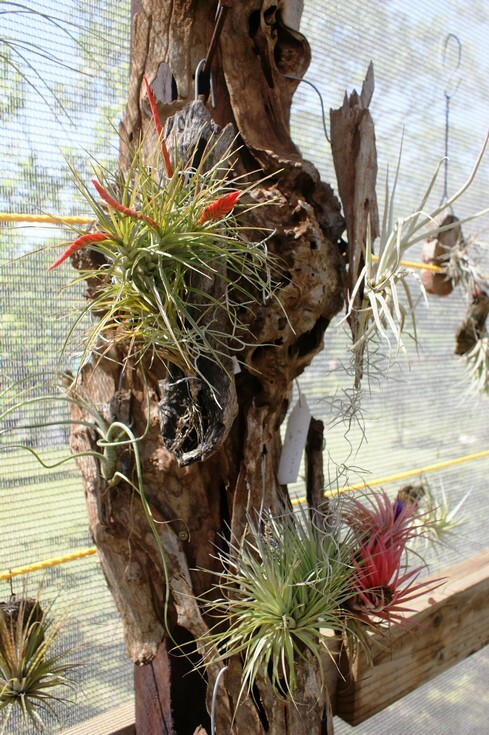 Airplants are often used in terrariums with other plants. 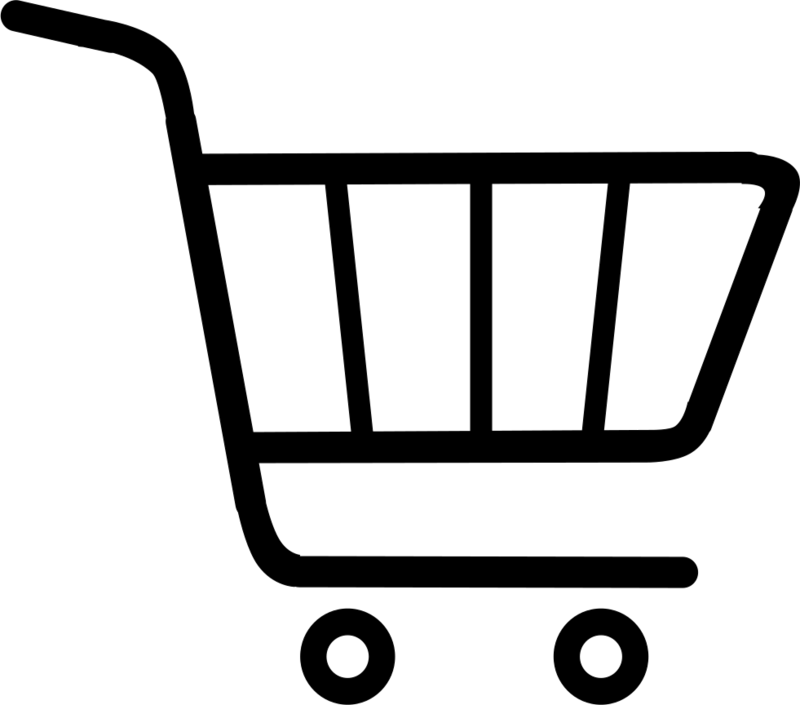 We supply glass balls with Tillandsia ionatha in. These make wonderful living ornaments that we use on out Christmas tree in December and then hang in the garden or on the veranda at other times of the year. Sometimes smaller plants can get a bit lost, our tri-prong stands are a great way to make smaller plants stand out. Several of them displayed on a table or windowsill create a great display. 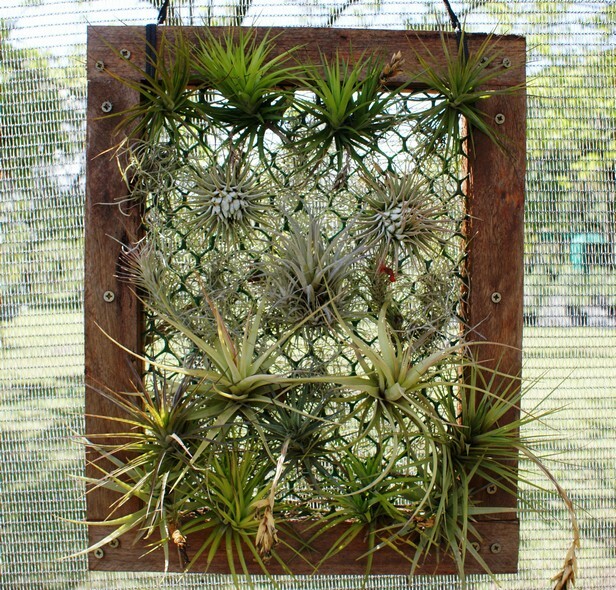 You can let your imagination go wild, use you airplants in other displays.